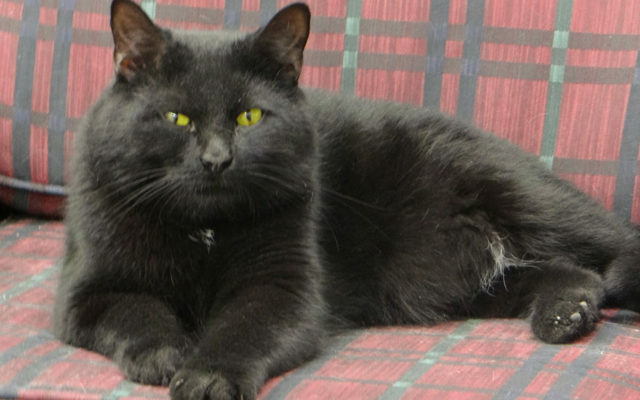 PAWS Animal Welfare Society presents KitKat as PAWS Pet of the Week. PAWS Animal Welfare Society presents KitKat as PAWS Pet of the Week. KitKat is a healthy, clean and adorable male goofball. This handsome black cat has been at PAWS’ shelter for a long time now. He wants to be with people, communicate with them and be loved by them. He is ready to meet his new family. KitKat is neutered, up to date on his vaccinations and cleared of any parasites. To see him, please visit Valley Cat Haven during open hours Saturday from 11 a.m. to 1 p.m., Tuesdays from 1 p.m. to 3 p.m. or call Jean at 543-7348 for an appointment.